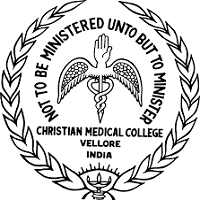 For admission to Nursing Courses ANM, GNM & M.Sc. Nursing, the H.N.B. Uttarakhand Medical Education University will publish a notification as Uttarakhand Nursing 2019 Application Form. The university will conduct Uttarakhand Nursing Entrance Exam for the same such that on the basis of their performance in the entrance exam, the applicant will get admission into various courses. 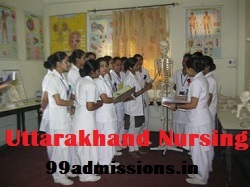 Candidates have to appear in the Uttarakhand Nursing 2019 Entrance Exam, who wish to take admission into H.N.B. Uttarakhand Medical Education University. The candidates can submit their application form from the official website. 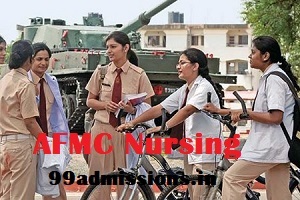 Get the details of Uttarakhand Nursing 2019 Application Form like exam dates, eligibility criteria, application form etc in the below article. To fill the application form, candidates can apply online. Candidates can get the Uttarakhand Nursing 2019 application form from 3rd week of June 2019. Application form can be filled from the website. The last date will be the last week of June 2019 to fill the application form along with e-challan. Candidates those paying the application fee through E-challan have to send the printed application form. At last, don’t forget to take a printout of the filled application form for future references. Candidate must be passed B.Sc/PB, B.Sc/PC, B.Sc Nursing from the institution recognized from Indian Nursing Council. The minimum mark which is necessary is 50% marks in aggregate. Candidate must passed GNM after 12th/equivalent examination with Science subjects. Candidate should be a registered Midwife or a registered Nurse or equivalent with any State Nursing Registration Council. Candidate must pass the 10+2 examination from a recognized board. Candidate must pass the qualifying examination along with English as a compulsory subject and with Physics, Chemistry and Biology (PCB). Candidate must passed all subjects individually. Must acquired 50% marks taken together in PCB. Candidate must pass in 10+2 or intermediate with PCB and English as compulsory subject with 40% marks are necessary marks in the qualifying exam. They can also apply with vocational stream subjects from recognized board. NIOS candidates can also apply. Candidate must be registered with the State Nursing Council as ANM. The minimum educational requirements is 10+2 or intermediate in Arts (Biotechnology, Economics, Political Science, Mathematics, Physics, Chemistry, Biology, History, Geography, Business Studies, Sociology, Psychology, Philosophy, Accountancy, Home Science) and English Core/English Elective or Health care Science or Science – Vocational stream only passing out from recognized Board. NIOS (National Institute of Open Schooling) candidates are also eligible to apply. Click on the Uttarakhand Nursing Admission 2017 Link. Select your course and click on apply online. Application will be displayed on your screen. Fill up all details in application form. Make payment of the fee in a prescribed format. The admit card will be released in the second week of July 2019 and will be send to the registered e-mail id of the applicants. The result will be announced in the third week of July 2019. A separate merit list will be prepared, on the basis of Uttarakhand Nursing Result 2019. The answer key of all sets will be published on the website, after the successful conduct of the entrance exam. Candidates can also challenge the answer key by sending the request along with demand draft of Rs. 500/- per question to the University address. Purely on the basis of merit prepared as per the candidate’s performance in the entrance exam the admission to each course will be done. On the basis of merit list, the Uttarakhand Nursing Counselling 2019 will be held online. The counselling related all information will be published in the local leading newspaper and in the website.